Enterprise and public advocacy reporter at PennLive.com. This March marks the 40th anniversary of the partial meltdown at the Three Mile Island nuclear power plant. PA Post is collaborating with WITF and PennLive on a multimedia, monthlong look at the accident, its impact and the future of TMI and the nuclear industry. That includes new documentary television and radio programs, long-form audio stories, photos, and digital videos. The work will include the voices of people affected as well as community events to engage with listeners, readers and viewers. In the early hours after the accident at Three Mile Island, officials urged residents to stay inside their homes – to keep windows closed. Everything was under control. The public was in no danger, they said. 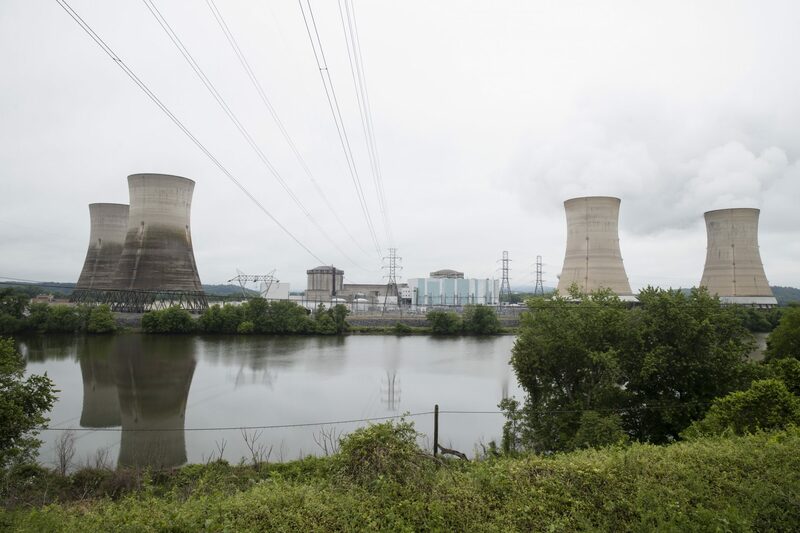 As officials gained a clearer understanding of the magnitude of the situation churning at the core of one of the reactors at Three Mile Island, a tide of panic swept the region. Expectant mothers and young children were ordered to evacuate, families fled, turning parts of the midstate into ghost towns as the Unit 2 reactor, which had been in operation a little more than a year, cast a specter of catastrophe over the region. The story of the March 28, 1979 Three Mile Island partial meltdown has undergone revisions over the years amid advancing scientific assessments. In time, nuclear engineers equipped with state-of-the-art robotics would learn that a substantial portion of the Unit 2 core – 50 percent in fact – had been destroyed during the partial meltdown. Ionized radiation had been released to the atmosphere and tons of radioactive uranium had been compromised. But in the 40 years since the nation’s worst nuclear disaster, the edict delivered by the federal government and the nuclear industry has remained unchanged. Officials say the amount of radiation released into the atmosphere as a result of the partial meltdown was well within accepted levels – far less than delivered by an x-ray. The official conclusions remain: No resident died or was harmed due to the TMI accident. No one was put in danger. That decree has stood in sharp contrast to the narratives that emerged among some of the residents who lived in the vicinity of the plant and experienced the accident unfold. Over the years, their initial reports about having experienced nausea, vomiting, hair loss, and skin rashes as a result of radiation exposure have led to more compelling stories of serious health issues, cancer rates and aberrations in the plant and animal world. Those stories have endured in defiance of the official conclusions. A 2017 study suggesting a correlation between radiation exposure at Three Mile Island and a type of thyroid cancer only heightened the debate. With each passing year, the stories have been woven into a seeming collective consciousness, a lore of personal testimonies and anecdotes that bind the men and women who made their homes in the shadow of Three Mile Island. “Every family in this area has a cancer story,” said Patty Longnecker, who at the time of the accident lived in her family’s 300-year homestead in Elizabethtown, a few miles from the nuclear plant. Longnecker, whose children were eight and 10 at the time of the accident (they evacuated), is among the legions of families who hold on to the conviction that exposure to Three Mile Island radiation had short and long-term adverse effects on the nearby population, as well as the plant and animal world. Over the years, she witnessed a number of relatives, friends, neighbors, and men who worked at the plant succumb to leukemia, cancers and other diseases. Among the oldest surviving witnesses to the accident is Helen Hocker, who at 92, strolls up the hill behind her Fairview Township home from where she can see the iconic cooling towers. 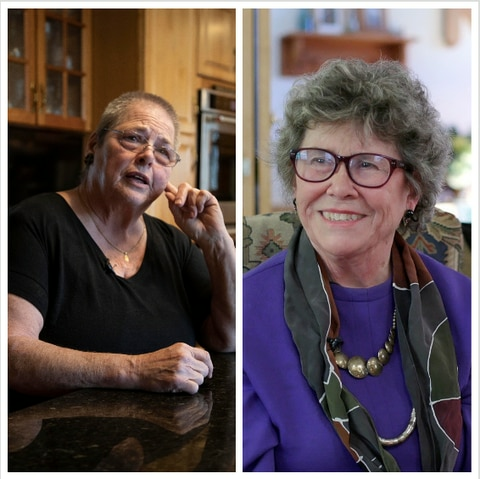 Hocker remembers the crisis in bits and pieces, so much of it now faded with time in her memory, but she has clear recollections of the friends, neighbors and family that she lost to cancer over the years. Among them were her daughter, Patty, the youngest of four, who died of thyroid cancer in her 20s; and Hocker’s son Chris, her oldest, who succumbed to throat cancer also as an adult. To this day, Hocker said she was never satisfied with the response from authorities. Science and oral histories have not gelled with these narratives, though. Few, if any, studies have corroborated the claims from residents. Most of these studies have been assailed for their methods and conclusions. In fact, the general dearth of conclusive scientific studies has, at times, made the residents the target of skepticism and led to failed lawsuits against Three Mile Island owners. Some of the studies have had little impact. A 1982 study in the American Journal of Public Health, for instance, found a 43-percent increase in infant deaths in Dauphin County in a time frame corresponding to the accident. The deaths could not be linked to radiation, however, and researchers noted they could have been associated with maternal stress and the use of sedatives. Even the most comprehensive studies have fallen short of drawing conclusive verdicts on the ongoing debate. In the mid-1980s, the University of Pittsburgh released what seemed compelling findings linking cancer rates to exposure to Three Mile Island radiation. But in 2000, the university released findings from a more longitudinal 20-year study that concluded that exposure to radioactivity released in the accident did not appear to have caused an increase in cancer mortality among people living within a five-mile radius of the nuclear plant at the time of the accident. The university study found a higher than expected number of deaths among people who lived near the plant at the time, but many of the deaths were attributed to heart disease, not cancers associated with radiation exposure. And beginning in the late 1990s, a researcher out of the University of North Carolina-Chapel Hill found that cancer rates in the Harrisburg vicinity had spiked in the aftermath of the TMI meltdown. Dr. Steven Wing, an epidemiologist, believed that people who lived downwind of Three Mile Island had higher cancer rates and showed signs of genetic damage associated with high doses of radiation. Wing’s study, first published in 1997 in the journal Environmental Health Perspectives, came under scrutiny, with experts noting that smoking may have contributed to the increased lung cancer risk cited in the study. Wing died in 2017. To date, one of the most compelling studies looking at Three Mile Island radiation exposure to cancer rates was conducted by researchers at Penn State College of Medicine. In 2017, Dr. David Goldenberg, the lead researcher, found that a certain type of thyroid cancer was common to people who had been near the nuclear plant in the aftermath of the 1979 partial meltdown. The findings seemed to contradict the long-held conclusions by officials, but Goldberg gave caution to the study’s limitations. The study didn’t prove whether the region had seen more thyroid cancer cases than would have occurred naturally, nor whether the cases had been more lethal. Goldenberg, armed with developments in the medical field and knowledge gained from extensive studies of the Chernobyl nuclear disaster, followed up. He recently found a possible link. Goldenberg found that thyroid cancer caused by low-level radiation has a different “mutational signal” than most thyroid cancer. To ensure the study was “clean” Goldenberg had to limit the study to a relatively small sample population – 44 people who were born near Three Mile Island and who were being treated at Penn State Hershey Medical Center for cancer. Goldenberg’s study found a shift that can be attributed to exposure to radiation, in particular within the time frame of the Three Mile Island accident, but the findings do not prove that exposure to radiation from the plant caused the cancer. They show correlation. Arguably no more vocal an opponent to nuclear energy and the transparency of the 1979 disaster has emerged than Eric Epstein, chairman of Three Mile Island Alert, as much a watchdog to the nuclear industry as an advocacy group for renewable energy. For four decades, Epstein and his group have held the owners of Three Mile Island (currently Exelon) under public scrutiny, excoriating plant owners for being disingenuous and unprincipled to the community about the accident dating from the early days of the plant to the present. He counts plant workers among the people, he said, who have died over the years as a result of being exposed to radiation from the accident. Forty years out, the long-term studies have ended as well as any tracking of Three Mile Island-related health data by health officials. Factors such as the aging of the population, shifts in population by residents who have moved away and those who have settled in the region in the years since the accident, diet, smoking, lifestyle, all figure in as variables to the challenge of tracking meaningful data linking exposure to illness. The official conclusion remains intact. “There’s no question that there are people who believe they were exposed to harmful levels of radiation..they believe the plume blew in a special direction at one time and exposed one particular part of the area more than others,” said Neil Sheehan, a spokesman for the U.S. Nuclear Regulatory Commission. Scientist calculated that the largest amount of release that anybody would have been exposed to was in the order of 100 millirems of radiation. The average American is exposed to 620 millirems of radiation annually from natural and man-made sources, including flying in commercial airplanes, and getting x-rays and medical treatments, Sheehan explained. The NRC, he said, remains “open to new information,” noting that it takes decades for latency periods to manifest. Forty years out, Sheehan said, and no comprehensive medical study has drawn a conclusive link. Matt Wald, a spokesman for the Nuclear Energy Institute, a Washington-based trade group, acknowledges that the personal narratives are compelling, but not based on science. There is just no solid reliable survey data of people who lived in the vicinity of the plant at the time of the accident and any subsequent health impact. In the absence of such data, Wald said, scientific evidence must prevail. That scientific quandary continues to vex some of the men and women who experienced the 1979 Three Mile Island accident. On that Friday morning, Frank Goldstein, then a young and intrepid photojournalist with the Philadelphia CBS affiliate WCAU-TV, circled the plant in a helicopter, his assignment, perhaps one of the biggest of his career, blinding him to the potential dangers. Incidentally, Wald argues that no “ash” was released during the accident. Over the years, Goldstein has witnessed a cadre of journalists who were on the ground for the assignment diagnosed with testicular cancer, bladder cancer or other cancers. Ultimately, one of the biggest impacts of the 40-year-old partial meltdown is as intangible as the studies are inconclusive. A swath of the public that witnessed this slice of history describes itself and neighbors as simple, working-class people – drawn to a region rich in natural beauty and historic wealth. Many had faith in authorities. The partial meltdown all but destroyed that faith. Joyce Corradi (left) and Patty Longnecker were both mothers of young children when Three Mile Island partially melted down 40 years ago. To this day, both say exposure to radiation caused cancers and led to deaths in their families and communities. Now 74, Corradi, a cancer survivor, has channeled her anger into activism, co-founding Concerned Mothers and Women. She has not been able to shake her deep suspicion of officials – from the government and nuclear industry – and their public response to the accident. Like almost every other resident with a Three Mile Island story, Corradi is well versed in the vernacular of nuclear energy and its politics. With the plant slated for eventual decommission, Corradi has shifted her attention from radiation levels to nuclear waste clean up. Exelon, which owns Three Mile Island, plans to build an interim spent fuel storage installation on sight. The initial phase of the project is expected to cost $85 million. TMI-2 is owned by First Energy. Of all the shared legacy, the fear of becoming a forgotten footnote in history haunts the men and women who lived through America’s worst nuclear disaster. It propels Longnecker, whose family settled in the Elizabethtown area in the 1700s, to at 75, remain active in advocating against nuclear energy.